Many of us believe that we invoke our muse or our source of inspiration with the presence of the most beautiful scene of the nature. This may be the reason why many of us also tend to select the best location where we can consider the easy access to the natural beauty of the environment is available. 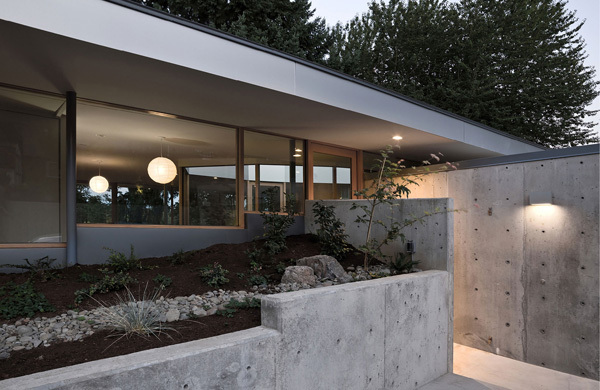 Well today we will see how the designer created a Courtyard House which was completed in the year 2013. 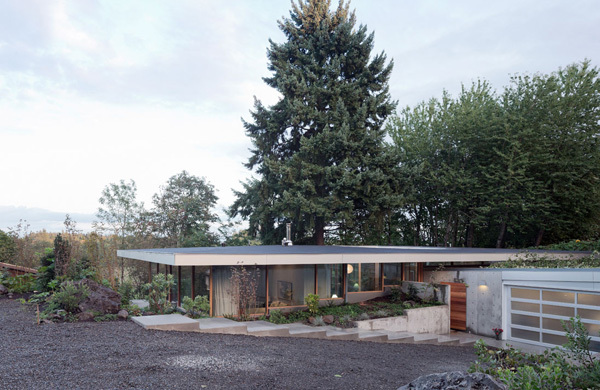 This house is specifically spotted in Aurora, Oregon USA. 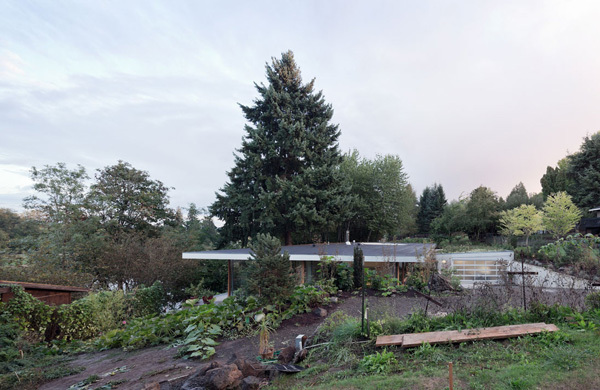 According to the designer, this house is completed with the disintegration of the traditional nuclear family as the dominant spatial fix in the 20th Century which is also a new typology for family lice is required to the city post-sprawl. 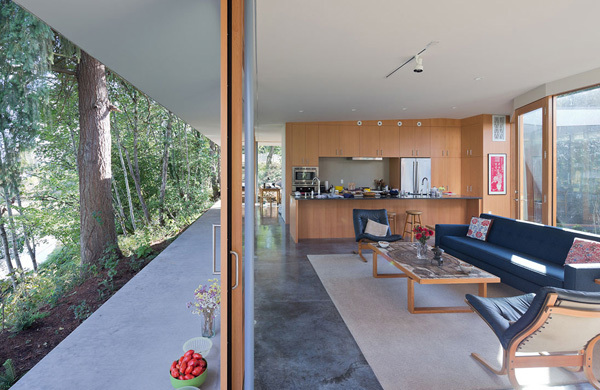 Well this house is conceived the low-density metropolitan living by concentrating the traditional single-family residential into a courtyard house. Scroll down the page and see the different areas through the images below. 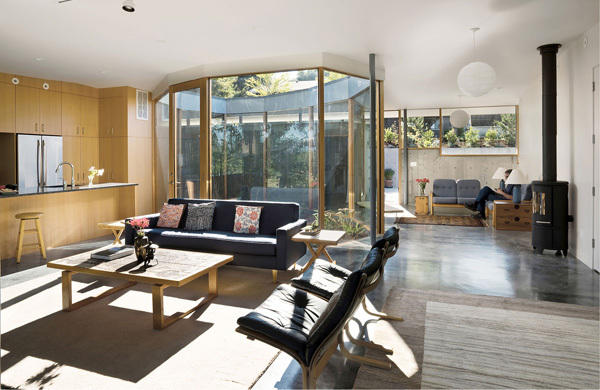 Location is one of the most valuable factors in considering the design of this house. 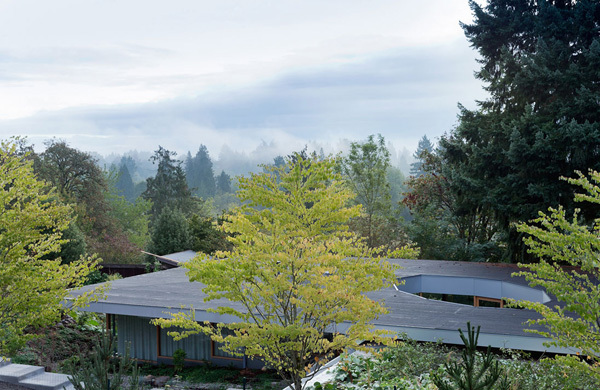 Take a look at the beautiful landscape offered in the exterior of this house. We can definitely see the hole set in the center for a beautiful highlight inside the house. Garden set at the heart of this house always maintain the connection of the interior to the amazing features of the house in the garden. 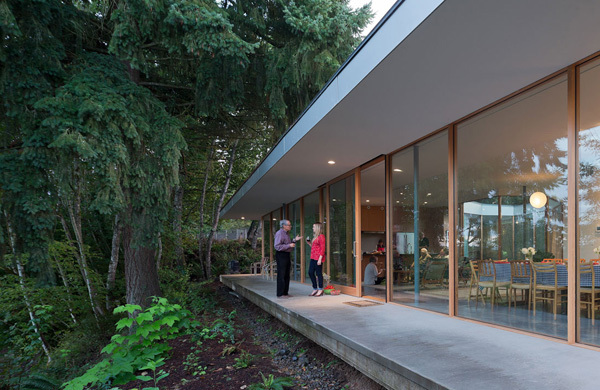 Glass frame utilized in this garden to let the client feel the strong connection of the house to the exteriors. 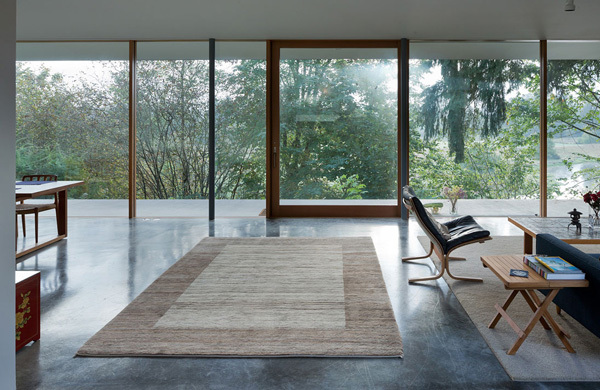 The rough texture of this beige carpet set at the center of the living space also displays it’s amazing role in the interior. Wooden cabinets and furniture upholstered with grey cloth harmonized with the color presented in the exterior. 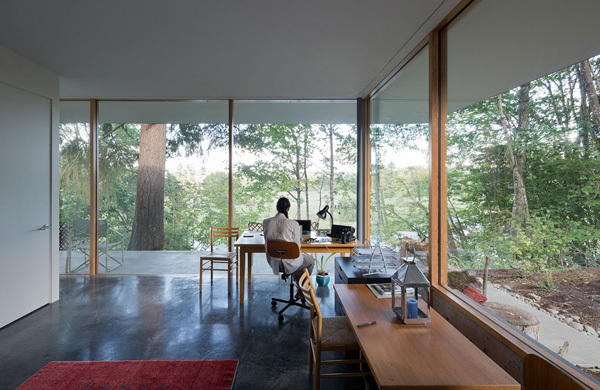 An office area is secured in the interior where the client may enjoy the free access to the nature through the glazed walls. 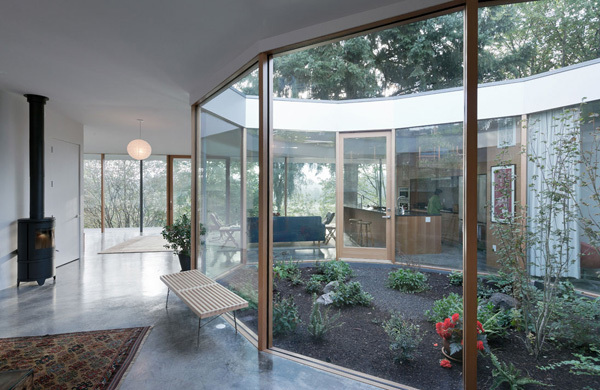 With the glazed walls in the house building the free access to the sustainable light effectively provide the natural lighting system in the house. See the mosaic pattern of the table that also jives perfectly with the pillows arranged in the sofa. 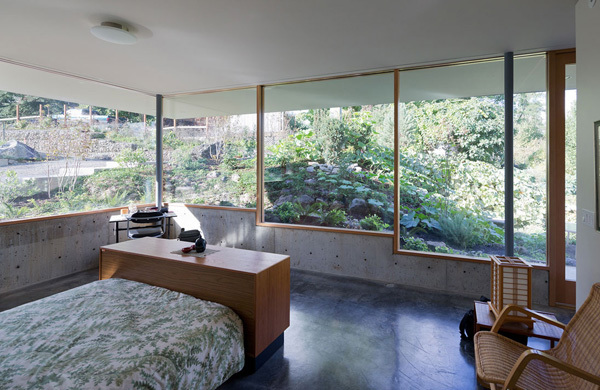 Even the bed in this huge bedroom also enhanced the connection of the interior to its exterior. At night, the LED lights installed in the interior underlines the importance of glazed walls that explains the modern concept. LED lights secured in the exteriors provide the luxurious and captivating look. 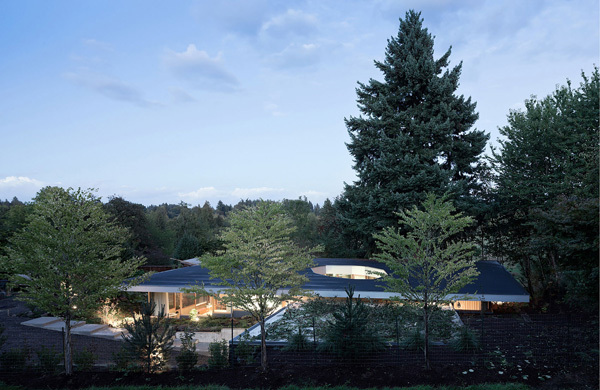 Large and tall trees found in the exteriors seem provide the constant protection to the house building. Let us take a glance at the house building through the bird’s eye view that seems like sparkling in the middle of the night. 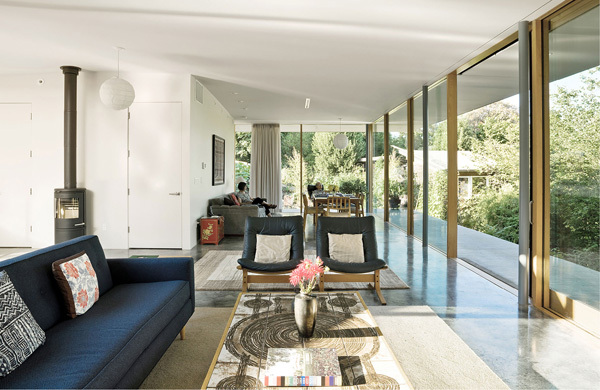 As we have seen the different areas above of this house, we can say that the No Architecture suggested the architecture of simplicity and harmony between the building and the beautiful landscape. 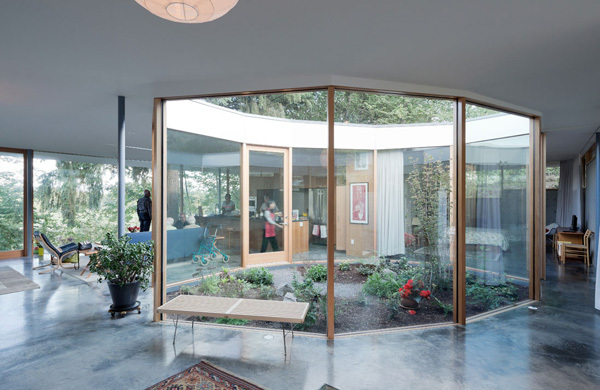 This Courtyard House definitely highlighted the more collective and ecological forms of life even without sacrificing the significant privacy of everyday life. Hope we have once again provided you another set of ideas that you will not just love but also apply in your future house.